In August, The Associated Press published an investigation into how Google handles the data it collects, following a curious discovery by a graduate researcher at U.C. Berkeley. For years, the company has allowed users to control their “location history,” which stores a detailed record of where they’ve been, based primarily on their activity in Google Maps. This, the researcher suggested — and The A.P. confirmed — did not work as advertised. “Some Google apps automatically store time-stamped location data without asking,” the reporters found. The revelation has since resulted in at least one lawsuit, as well as renewed public criticism from lawmakers. I came to resent this data in a number of ways: that a cache of coordinates from Google could trigger grief or joy — that was such a nice morning, up in the park, with all those dogs — or that it, rather than a friend or a co-worker or a missed stop on the train, would be what triggers a familiar guilty reminder that the city I live in is so much bigger than the routine I’ve created within it. There were also moments, deep in this incidental personal data diary, when I almost wished for more — when I thought about how nice it would be to be able to zoom in even further, to get back into a room and look around. These moments were brief. An intensely personal diary is the sort of thing you could only be happy to discover in your own attic, in your own handwriting, not on the servers of a multibillion-dollar advertising corporation. My own download held the usual digital flotsam—not all the information I had ever volunteered to the platform, but a lot of it: date of birth, phone number, schools. There were IP addresses from every time I’d signed on since 2009 (though I’ve had an account since 2005). There was a list of advertising topics for which I could be targeted––some accurate, some more like divination than data science—alongside content I’d created: chat transcripts, event listings, photographs, videos. I was startled to find dozens of videos I had deleted before posting or sharing with friends, an embarrassment of outtakes. There I was, lower-resolution and smoother-skinned, staring at the computer camera and adjusting my bangs, looking for a good angle from my dorm room, my parents’ kitchen, a temp job. It was like watching B-roll for a documentary about my insecurities. (Facebook has since announced that the inclusion of deleted videos was the result of a bug, and said it was planning to discard the data from its servers.) The videos were jarring to discover—and suggested questionable data-retention practices at Facebook—but they were not entirely unwelcome. In an era of personal brands and social-media curation, I was amused, and a little wistful, to have a realistic glimpse of what I had been like as an awkward college student. I suggest the budgeting approach: Parents pay for a certain amount of data each month, the children track how much they’ve used, and then they pay for anything beyond that allotted amount. It’s simple enough in theory. Carriers lets customers check to see how much data each person in a family plan has used so far during the month, and the privilege of having a phone should come with the responsibility of keeping track. That approach does, however, require you to sit down with your teenager and identify the sources of data drain and perhaps set rules for when those apps ought to go off. The Times’s Wired Well columnist, Jennifer Jolly, lives with a data-draining teenager. She suggests turning off any features on a teen’s phone that drain data automatically in the background. Also, track the apps that use the most data and limit data hogs like Spotify or Snapchat to times when the teenager has Wi-Fi access. One additional hint: The more video an app records, transmits and receives, the higher the data bill is likely to be. Call your carrier or consult online forums if you need more help. In an ideal world, this approach teaches patience, self-control and restraint. Your kids can always watch a video a little later over Wi-Fi, after all. And many messages – most, even – can wait a bit. Digital technology has made it easier than ever to treat people like domesticated animals farmed for profit. You can no longer rent a car or a hotel room or buy much of anything without a credit card, which leaves a digital trail wherever it goes. You’re told you need a social security card, a health card, a driver’s licence, a bank card, a bunch of passwords. You need an “identity”, and that identity is digital. All your numbers and passwords – all the data that identifies you – is supposed to be private, but as we know by now, the digital world leaks like a sieve, and security on the internet is only as good as the next mastermind hacker or inside-job data thief. The Kremlin has gone back to using typewriters for a good reason: it’s a lot easier to smuggle a memory stick out of a secure area than it is to make off with a big stack of papers. It’s not all bad, however. All technology is a double-edged tool, and the very internet that has too many data-leaking holes in it also allows words to travel quickly. It’s easier to reveal abuses of power than it once was; it’s easier to sign petitions and to protest. Though even that freedom is double-edged: the petition you sign may be used by your own government in evidence against you. Though our digital technologies have made life super-convenient for us – just tap and it’s yours, whatever it is – maybe it’s time for us to recapture some of the territory we’ve ceded. Time to pull the blinds, exclude the snoops, recapture the notion of privacy. Go offline. Any volunteers? Right. I thought not. It won’t be easy. Add to this mix period tracker apps, which have helped shift attitudes, demystifying and normalizing menstruation by assigning cute icons to once unmentionables like heavy flow, maxi pads and period pimples. 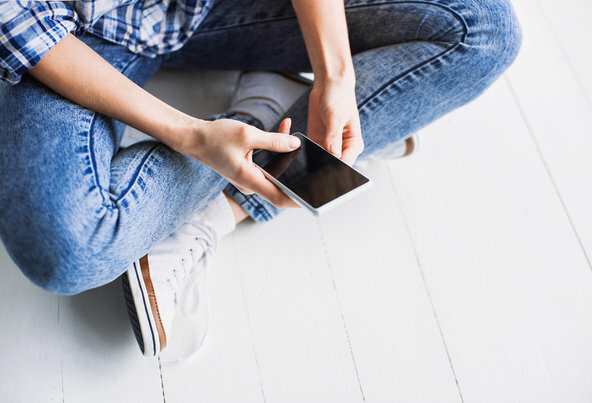 Most important, the apps transform the input into crunchable data that can tell a young woman when her period is due, when it’s late and even why she might be feeling so blue. …[A study] looked at just people’s Facebook likes, so just the things you like on Facebook, and used that to predict all these attributes, along with some other ones. And in their paper they listed the five likes that were most indicative of high intelligence. And among those was liking a page for curly fries. (Laughter) Curly fries are delicious, but liking them does not necessarily mean that you’re smarter than the average person. So how is it that one of the strongest indicators of your intelligence is liking this page when the content is totally irrelevant to the attribute that’s being predicted? And it turns out that we have to look at a whole bunch of underlying theories to see why we’re able to do this. One of them is a sociological theory called homophily, which basically says people are friends with people like them. So if you’re smart, you tend to be friends with smart people, and if you’re young, you tend to be friends with young people, and this is well established for hundreds of years. We also know a lot about how information spreads through networks. It turns out things like viral videos or Facebook likes or other information spreads in exactly the same way that diseases spread through social networks. So this is something we’ve studied for a long time. We have good models of it. And so you can put those things together and start seeing why things like this happen. So if I were to give you a hypothesis, it would be that a smart guy started this page, or maybe one of the first people who liked it would have scored high on that test. And they liked it, and their friends saw it, and by homophily, we know that he probably had smart friends, and so it spread to them, and some of them liked it, and they had smart friends, and so it spread to them, and so it propagated through the network to a host of smart people, so that by the end, the action of liking the curly fries page is indicative of high intelligence, not because of the content, but because the actual action of liking reflects back the common attributes of other people who have done it. Thanks Benoit and Paul for forwarding the link! …This tiny computer, in its obviousness and unsurprising advancements, keeps me in check and tells me what I often forget about – that I should get up and go. From a technological perspective, Apple’s Health and the apps I use are solid and useful; from a conceptual standpoint, watching that step count go up and up is a reminder that I’m free. …I can track and optimize my lifestyle with an iPhone. An entire ecosystem of apps, services, and devices capable of monitoring my nutrition, weight, fitness activity, and even sleep uses my iPhone as the central, private hub that I control. 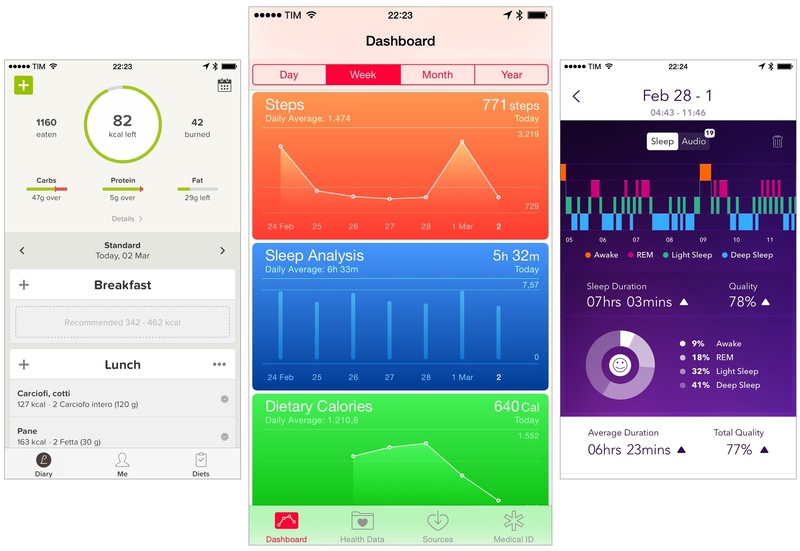 On the iPhone, everything is collected and visualized by a single Health app, which can be connected to more apps. As a cancer survivor who wants to improve his lifestyle because of a newfound appreciation of life, all this is incredible. …Tracking my life with my iPhone makes my commitment real and the effects directly measurable. Being able to open an app and be coached through workout sessions or use my phone to track steps and runs is empowering. iPhone software has enriched my lifestyle and it has allowed me to be more conscious in my daily choices.